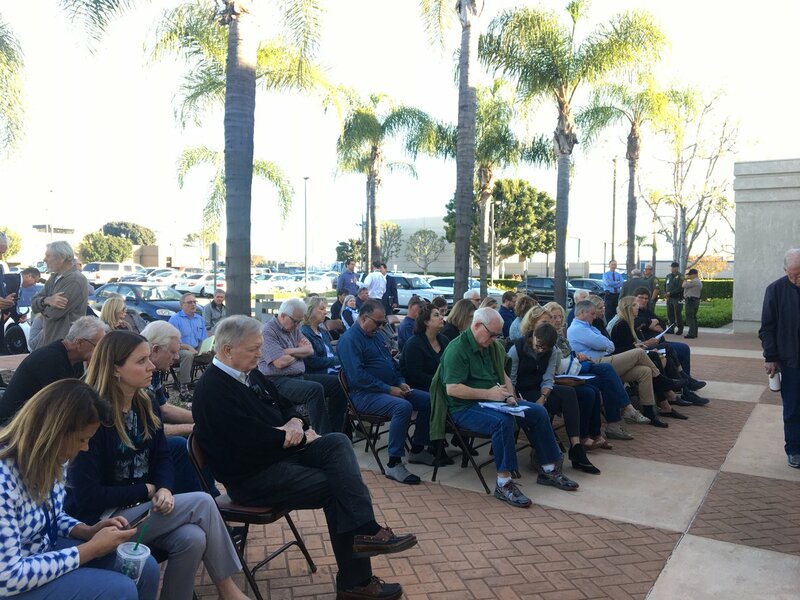 On Wednesday evening 7-8:30pm, February 15th, the Anaheim Republican Assembly will hold a public forum for residents of Anaheim, Orange and Villa Park. This will address the homelessness crisis. The event will be held at the Phoenix Club, 1340 S. Sanderson Ave., Anaheim, CA 92806. County Supervisor Andrew Do’s chief of staff, Brian Probolsky, is the latest top-level staffer to depart from the fifth floor of the Hall of Administration and take a job in the county bureaucracy, again fueling speculation about how political patronage plays a role in hiring. Mental health advocates are hopeful the 21st Century CURES Act will be a positive and new direction for mental health care. With the first wave of President Donald Trump’s long-promised crackdown on immigration arriving this week, immigrant advocates in Orange County are scrambling to mobilize on behalf of the many county residents who could be impacted by the directives. It underestimates ratepayer burden by more than $650 million. Today, President Trump issued executive orders on immigration that go against American values and will further harm immigrants who contribute to our communities in myriad ways. OCCORD is gravely concerned in President Trump’s decision that realizes his xenophobic rhetoric into policies. “We reject the anti-immigrant vitrol that goes against traditional American values of welcoming immigrants,” said Shakeel Syed, Executive Director of OCCORD. Sacramento, CA – Yesterday, McClatchy News reported that President Trump’s team has compiled a list of 50 “Emergency and National Security Projects.” Given the document’s title, water and consumer advocates were surprised to see the proposed Huntington Beach desalination plant—which Orange County Water District’s own analyses show is unnecessary given current supplies—included. Trump’s team also got the price tag wrong—listing the cost as $350 million instead of $1 billion. “The inclusion of an unnecessary billion-dollar for-profit desalination plant in President Trump’s list of priority projects is sad in light of the need for better water infrastructure in rural parts of California that currently lack access to safe drinking water,“ said Dan Jacobson of Environment California. Santa Ana, California (January 24, 2017) – Today the Orange County Board of Supervisors approved a lease agreement with Mercy Housing to develop the proposed Placentia Veteran’s Village, which will provide housing for 49 homeless and/or disabled United States Veterans. On 2.34-acres of unimproved vacant land owned by the Orange County Flood Control District, as governed by the Board of Supervisors, Mercy Housing will construct an apartment complex consisting of 49 fully furnished apartment homes and on-site offices for support services. The Village will provide a wide range of on-site services such as job-training, job placement, Veterans Administration benefits assistance, and healthcare and wellness programs. Supervisor Shawn Nelson, who’s Fourth District includes the City of Placentia said, “This is another significant step forward in addressing the serious homelessness issue in our County – especially giving a hand up to our veterans.